Decorative contact lenses are intended to temporarily change the appearance of the eye, but do not correct vision. Advertised as color, cosmetic, fashion and theatrical contact lenses, they are especially popular around Halloween. California Department of Public Health (CDPH) Director and State Public Health Officer Dr. Karen Smith today warned consumers about the risks associated with wearing decorative contact lenses. Decorative contact lenses are intended to temporarily change the appearance of the eye, but do not correct vision. Advertised as color, cosmetic, fashion and theatrical contact lenses, they are especially popular around Halloween. 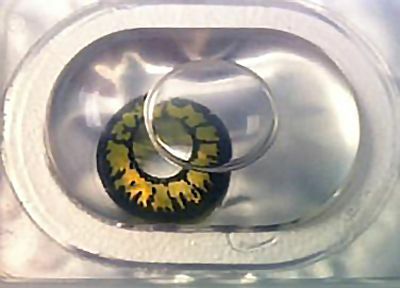 Decorative contact lenses are typically sold at beauty supply and novelty stores. Consumers who have experienced any injury or illness with decorative contact lenses should contact their health care provider. Consumers can report the illegal sale of decorative contact lenses without a prescription to CDPH’s Food and Drug Branch Hotline at 1-800-495-3232 to initiate an investigation.